The National Citizens Alliance (NCA) believes that Canadians have a right (legal entitlement) to quality, sufficient, physically accessible, and affordable drinking water as a public resource, and reasonable sanitation. Water is a vital and fundamental requirement of human survival. Without water, human life is not possible. To deny water is to deny human life. 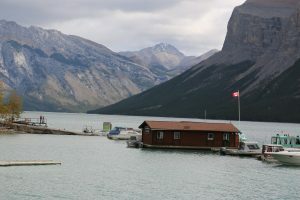 In addition, the NCA believes that the federal government has a constitutional duty and responsibility (under Section 91 of the 1867 Constitution Act) and as part of “peace, order, and good governance,” to protect Canadian water from undue harm, including harm associated with fisheries habitats, bulk exports, and navigable waters. Further, Canada’s economy is dependent on water whether navigable waters for shipping and fishing, water for irrigation of agricultural lands, and water for oil sands extraction processes. The NCA believes that Canadian water is critical to the well-being of current and future generations, and the environment. The NCA will reject outright any short-term, narrow legislation and policies that sacrifice the quality, accessibility, sufficiency, and affordability of Canadian drinking water as a public resource, and quality and quantity of other Canadian water. In writing this policy, the NCA accessed relevant Canadian federal Acts, Canadian water related reports, and international declarations and reports on water. Canada has approximately 6.5 percent of world’s renewable fresh water supply, with significant portions of Canadian fresh water inaccessible due to flows to the Arctic Ocean. Most of Canada’s fresh water supplies are non-renewable. For example, the Great Lakes renew approximately 1 percent each year. In the world, approximately 2 billion people face water shortages in over 40 countries, 1.1 billion people do not have sufficient drinking water, and 2.4 billion people have no provision for sanitation. By 2050 at least one in four people is likely to live in a country affected by chronic or recurring shortages of fresh water. The National Citizens Alliance believes that all Canadians including Aboriginal peoples have a right to quality, sufficient, physically accessible, and affordable drinking water as a public resource, and reasonable sanitation. Water is integral to human survival, and therefore the NCA believes that water protection and water as a public resource supersede commercialization and privation of water. The NCA is committed to banning all bulk water exports, increasing drinking water transparency and accountability in all provinces, and raising the water and sanitation standards of Aboriginal peoples to that of the setter population. The NCA will work with any other party that shares its values and vision for Canadian water. The NCA membership vote on 2014-09-14. 100 percent of membership in favour of the Water Security Policy Statement; 80 percent quorum. Minimum 70 percent membership support and 50 percent quorum required for adoption of policies as per the NCA Constitution.